Searching for that quintessential French art deco look? Look no further than the exquisite Bugg Outdoor Dining Chair; a piece so unique it will make a bold and dashing statement in your home. Shaped like a modern ‘royal’ chair with curved edges snaking around the shape of the back and seat, while the legs form a sleek Scandinavian style base, the Bugg Outdoor Dining Chair is a rare find and one that will look incredible in many settings. 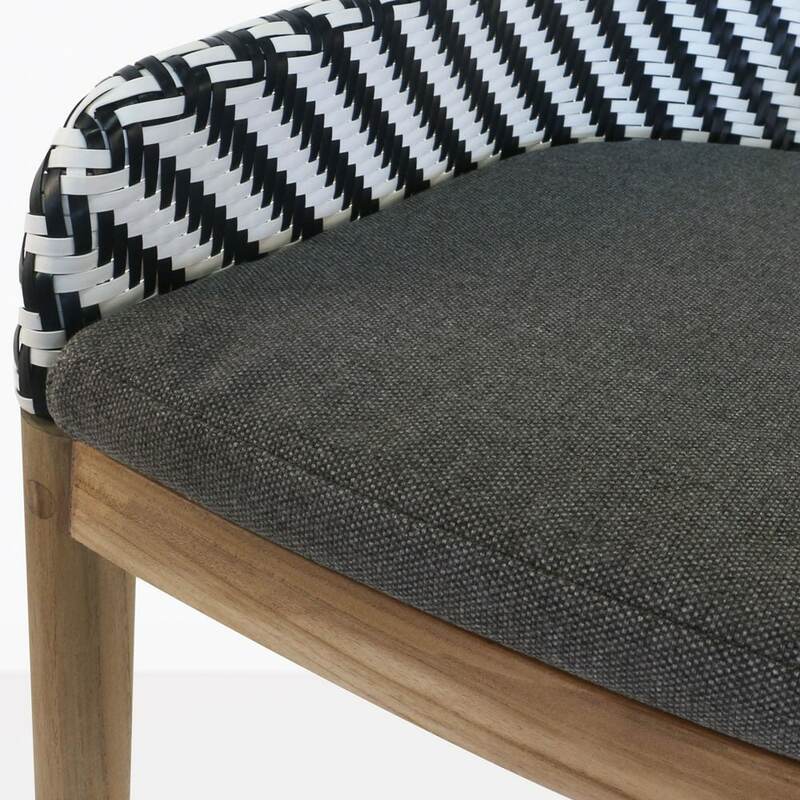 It is a resplendent blend of teak, outdoor wicker and soft Sunbrella® fabric. 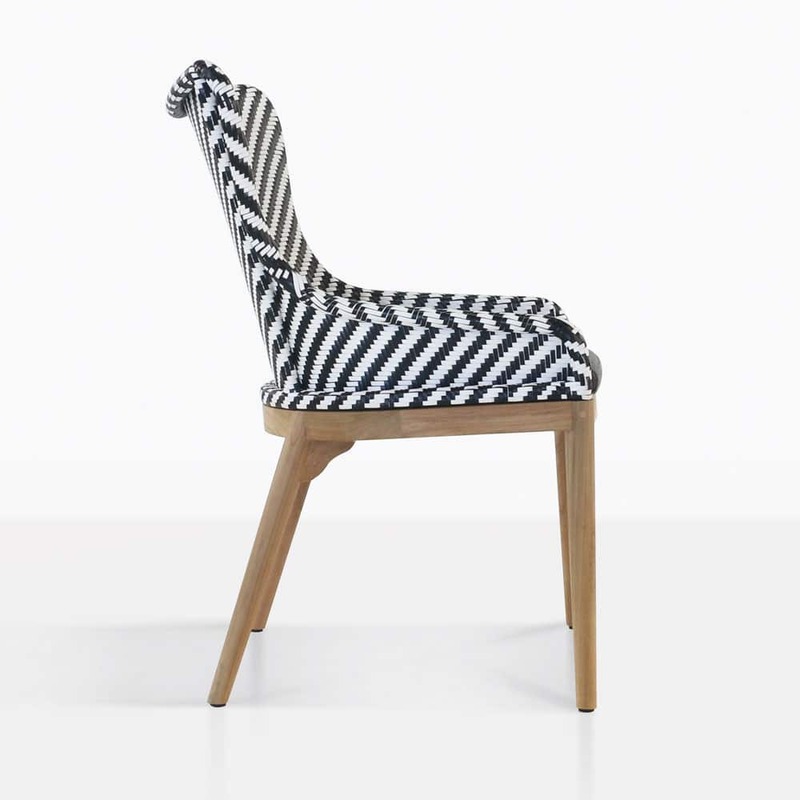 The exclusivity in this fabulous Bugg Chair look is from the stunning black and white woven wicker fused with a blend of amazing materials in a style that is charming, distinctive and priceless. 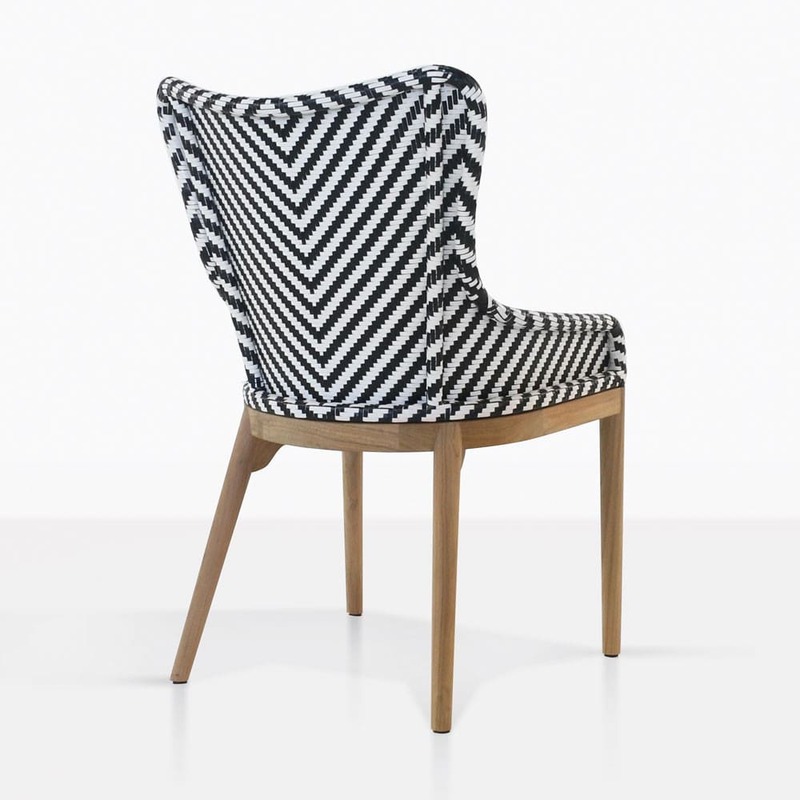 To uplift a classic look, such as in a garden with the solidity of a chunky teak table, why not place several of these unique Bugg Dining Chairs around for an exquisite framing that you and your friends will adore! Facilitate a modern haven with the Bugg Chairs neatly placed around a aluminium and teak table for the ultimate urban getaway! 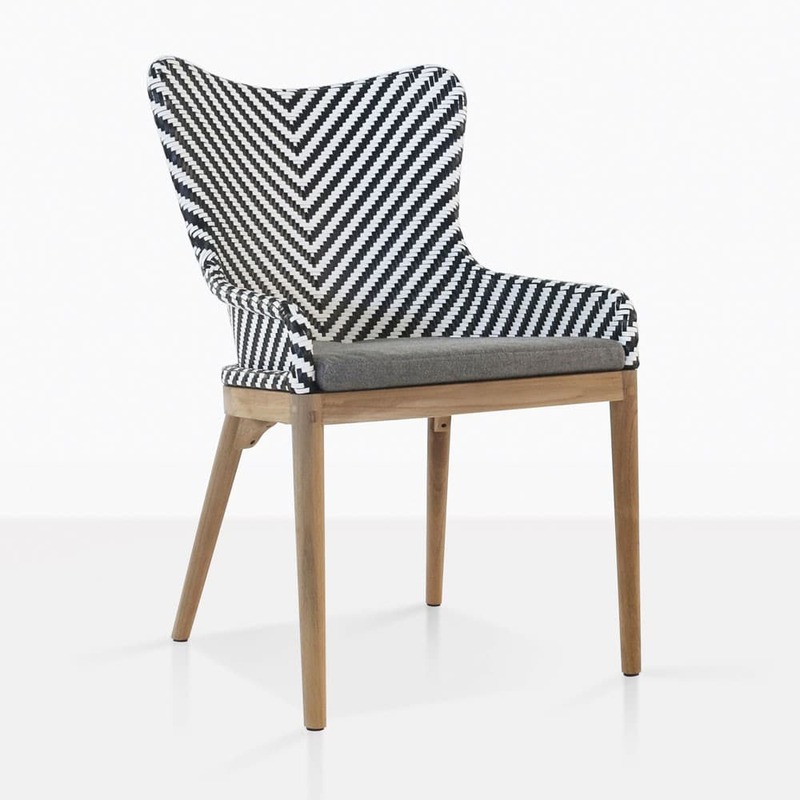 We are so delighted with the Bugg Dining Chair, and know you will be too! A chair that is incredibly stylish, brilliantly comfortable and made from state of the art materials designed to survive outdoor use! Made from with a teak base, a natural product that is robust and easy to maintain, with an outdoor wicker woven back, that is through dyed and UV treated to withstand the outdoors, as well as the addition of highly regarded Sunbrella® cushions… you’re in for a luxurious and high quality treat with the divine Bugg Dining Chair. The Bugg Outdoor Chair is exclusive to Design Warehouse. Call us today to order yours!